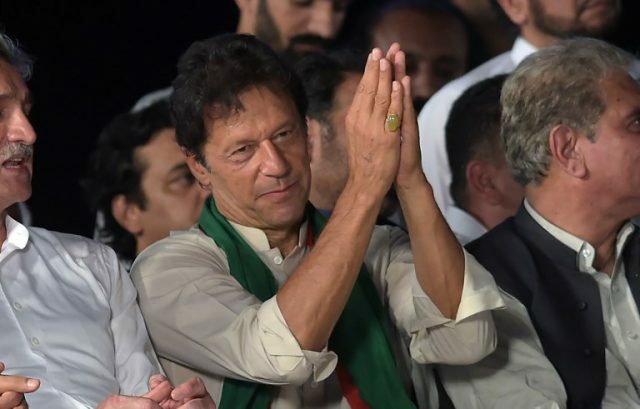 The returning officer for Lahore’s NA-131 rejected objections to PTI chief Imran Khan’s candidacy and cleared him for contesting the election. A member of Pakistan Justice and Democratic Party, Mudassir, had challenged Khan’s nomination through his lawyer, Mubeen Qazi, in Lahore. He contended that Imran Khan is dishonest as he did not mention Tyrian White as his daughter. Khan’s lawyer, Babar Awan, argued against the objections on Monday. On Tuesday, the Election Commission accepted Khan’s nomination papers, clearing his way for contesting the polls on July 25. PML-N leader Khawaja Saad Rafique’s nomination papers have been accepted for the constituency. He won the election from NA-131 in 2008.